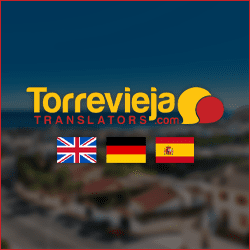 Torrevieja and the surrounding areas around Orihuela Costa on Spain’s sunny Costa Blanca have large Irish expat communities. The selection of Irish bars and themed pubs in this region is huge so, if you’re ‘up for the craic’, this is the place to be! Irish ex-patriot residents and visitors alike can be found enjoying a pint of Guinness and traditional pub grub or partying the night away in one of the many Irish venues here. 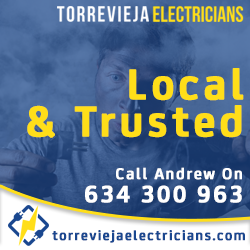 Although better known for it’s wide selection of Spanish tapas bars and tavernas, Torrevieja does have it’s fair share of well patronized Irish bars and pubs. Perhaps the best known is Murph’s Irish Bar on the beach front at Av. Dr Mariano Ruiz Canovas, overlooking the beautiful Mediterranean Sea. Murph’s is a genuine Irish pub run by Jack and his team of friendly staff. They serve up tasty meals and an extensive range of drinks to be enjoyed inside or ‘al fresco’. Their speciality on the menu is the ‘hot rock’ steak which you can cook to your preference on a sizzling rock platter. Also renowned for delicious breakfasts and Sunday roasts, Murph’s offer live sports TV coverage and nightly entertainment in a relaxing atmosphere. A few blocks away, situated on Calle Caballero de Rodas, is J Mullin’s Irish Pub. This busy, spacious Irish themed pub is popular with the locals and well known for it’s music and good value. Durty Nellys, situated on Calle Pola de Siero, has recently been taken over and new owner Tommy has quickly gained a good reputation for this Irish pub. Both friendly and welcoming, this lively pub features regular entertainers and very good value, quality food and drink. Towards the centre of town on Calle Zeus, you will find My Life Irish Pub. This spacious venue is spread over two floors and has a comprehensive, reasonably priced menu. Popular for it’s multi screen live sports coverage, My Life offers a great range of drinks and cocktails. St. James’s Gate Irish Pub just off Av. Miguel de Unamuno Torreta 2, is another lively themed pub near the city centre. It features live entertainment acts most nights of the week and karaoke on a Friday. With reasonably priced food and drinks, Sky sports coverage and a pool table, this pub is worth a visit when in the area. A little out of town, on Calle Ballester Local 4 Rojales, Shenanigans Irish Bar is a good value, fun venue. Overlooking La Marquesa golf course, the large terrace offers spectacular views. Although there is no food on sale, the relatively cheap drinks, regular live entertainment and major sporting events TV coverage, make this bar a treat to visit for all the family. The Orihuela Costa region near Torrevieja boasts a whole host of Irish themed pubs and bars to choose from. The Abbey Tavern is situated on Calle Escorpio, Urb. La Florida. This marvellous Spanish run, yet very Irish venue, features a large garden area with outdoor stage for live music bands, fountains, trees and terraces. Staying open late (usually till 4am), The Abbey has regular live weekend entertainment acts and tribute bands. Food and drinks are good value for money and the staff friendly and welcoming. Nearby, on Calle Marte in the same Urbanisacion La Florida, is The Emerald Isle. This Irish themed venue features extensive gardens to relax in, an outdoor swimming pool and large terraces. The pleasant surroundings and great value make this pub a first choice for families with children. The food at The Emerald Isle receives great reviews and together with fantastic nightly entertainment, makes this Irish pub a must to visit. The famed ‘Cabo Roig Strip’ hosts several popular Irish bars. Run by husband and wife team Sandra and Gerry, O’Shea’s Irish Pub is favoured by the local golfing fraternity. Tasty, wholesome food and well priced drinks alone make this venue worth a visit. Friendly service and great entertainment and music have combined to give this relatively new pub a faithful following. The Bog Road, an Official Guinness Irish pub, is located at the La Zenia end of the Cabo Roig Strip. It’s a real ‘drinkers pub’ with a great range of beers and spirits on offer but no food sold. With a strong following amongst the local Irish community, this venue offers regular lively entertainment acts and the usual live sports coverage on television. Extremely friendly and efficient bar staff and a comfortable outside seating area help make this pub a local favourite. Two well known Irish bars can be found in the Playa Flamenca area. The Celtic Drop is situated on Calle Santa Alodia and is well regarded for its two for one special on cocktails which make it popular with the ladies. Hosts, Lisa and Craig, provide a superb range of nightly live entertainment acts and music. This pub has recently been refurbished and it’s new polished look attracts both locals and visitors in search of a fantastic evenings drinking and socializing. Located on the lower level of Flamenca Beach Commercial Centre, The Lansdowne is an authentic Irish pub run by Glenn and Yvonne. With a buzzing atmosphere and quirky Irish memorabilia adorning every wall, this watering hole is packed most evenings and offers happy hour drinks from 6-9pm. Rugby is the clear favourite when it comes to live televised sports here and boasting a superb range of drinks and pub grub, including a selection of party platter tasty snacks, The Lansdowne is truly deserving of a visit. The La Zenia district plays host to several popular Irish bars and pubs. Perhaps the best known is Paddy’s Point on Calle Flores where proprietors Rory and Hazel provide guests with a warm welcome. Established in 1999, it offers a fine selection of beers, wines and spirits, including Guinness, and a comprehensive and tasty breakfast, lunch and snack menu throughout the day. Nightly live entertainment is provided and all major sports events can be followed on one of no less than 14 screens around the bar and terrace. Paddy’s Point has a lively and friendly atmosphere for locals to meet and enjoy a few drinks and a bite to eat. The Randy Leprechaun can be found on Calle Maestro Torralba in La Zenia. Known for its great value Irish breakfast, this venue has a wide range of well priced drinks on offer served by a team of friendly bar staff. Live evening entertainment may be enjoyed most nights including a superb Celtic Irish folk band. Also in La Zenia, Gogartys Irish Pub is situated on Ctra. de Villamartin. Offering good Irish pub grub on its new menu, this friendly bar comes highly recommended. A great value range of drinks and pleasant, friendly bar staff make this a super place to visit. The Stray Sod Bar and Steakhouse is situated on Avenida T.Pichon Villa Costa 2B next to Campoamor Golf Course. This bar is an Irish family run business with a great reputation for its food menu and in particular, its steaks. The steakhouse menu is extensive with a range of breakfast, lunch and dinner options. Offering a superb selection of nightly live entertainment from 10.30pm till late, and a wide range of drinks served inside or out on the spacious terrace, this pub is a real treat! Live sports may also be viewed on any of 17 screens situated in the bar area or on the terrace. Other Irish themed pubs and bars in the Orihuela Costa region worth a mention are The Priory on Calle Mulacen Contorre Cerro, The Auld Dubliner on Calle Cabo Roca, Campoamor and The Blarney Stone at Centro Comercial Zeniamar. With such a huge choice of Irish Bars to choose from, those in seach of ‘The Craic’ are spoilt for choice in the Torrevieja and Orihuela Costa areas.